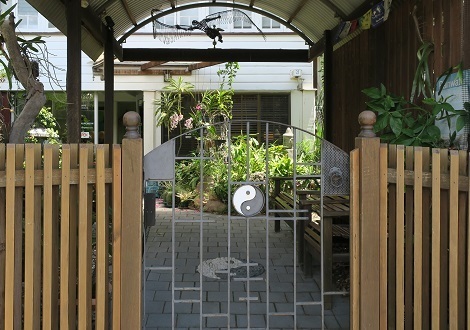 From the moment you enter the yin yang front gate, you truly feel like you are in a sanctuary. 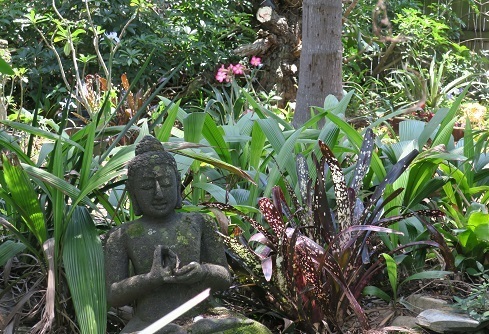 You will see lush gardens, original sculptures and orchids in bloom, but you'll hear very little except the chirp of birds. The noise from the traffic is screened out and you sense only tranquillity. 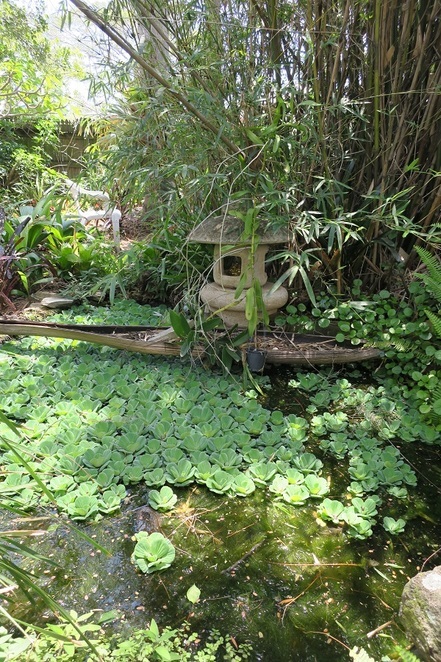 Morningside Acupuncture and Natural Therapies Healing Sanctuary is balm for the mind, body and soul. The ambience continues inside in the waiting room and reception. I was greeted by Bethrene Laurenson, the Practice Manager, who instantly put me at ease, gave me tea and showed me around the sanctuary. She explained their ethos and some of the many therapies and treatments that they provide. I was given several pages to fill out which I found reassuring as they take your health and wellbeing very seriously. They ask about your health conditions and concerns, as well as why you are there and what you are hoping to achieve from your consultation and treatment. Their approach is holistic - treating the whole person, not just the symptoms of the disease. Instead of sitting in the waiting area (which was lovingly decorated and smelt of oriental lilies), I was taken outside and invited to fill out the forms in the garden and to wander around until my appointed time. 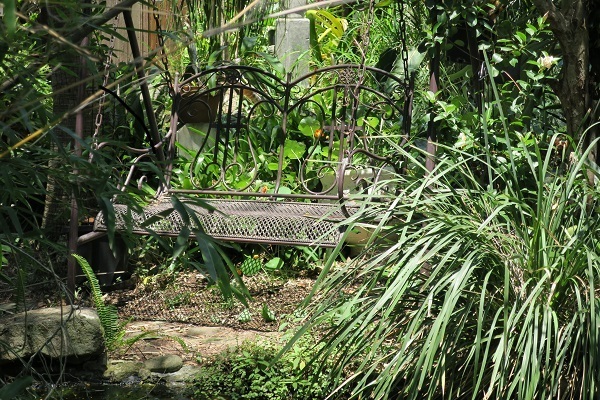 I sat on a rustic wrought-iron swing enjoying nature and feeling chilled even before any therapy. 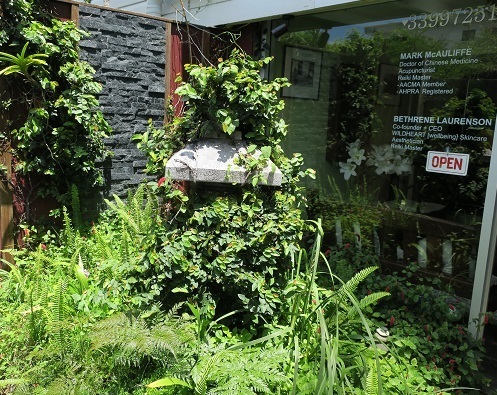 Dr Mark McAuliffe took me into one of the peaceful Treatment Rooms and discussed my health issues with me. He took my pulse - about 15 of them! Who knew that Chinese medicine has so many pulse points compared with Western medicine, which just measures the rate of blood flow? He also had a look at my tongue. He explained that the pulses and tongue reveal a lot to him about a person's health. He was particularly interested in my sleep patterns and digestion. He recommended Acupuncture and Cupping therapies. The acupuncture needles are super fine - much finer than a hair. The needles traditionally come from China, Korea or Japan. Dr Mark buys superior quality from Korea. I had 17 needles inserted - in my head, hands, back, neck, ears. I can report that it was absolutely painless. 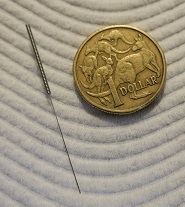 In fact, I felt only one needle go in (in my hand) although it didn't hurt. Don't be worried if you have an aversion to injections as these needles are about 18 times finer than a common syringe needle. He doesn't twiddle them once they are inserted. I was left to lie quietly with a TDP magnetic heatlamp on my back which was warm and cosy. Dr Mark told me a lovely story about how the lamps were invented in the 1970s after an ancient ceramic factory in rural China was found to have a pain free workforce because of the minerals in the clay they were working with. Get him to tell it to you. 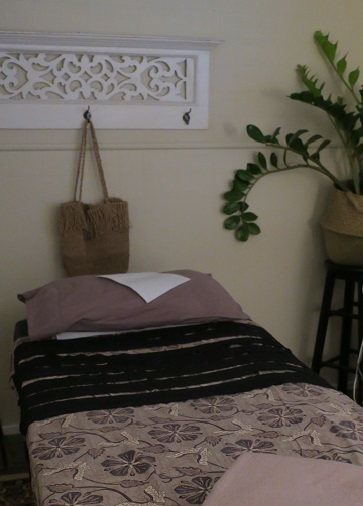 I overheard a client say that she was having, "Double happiness - acupuncture in the morning and visiting her hairdresser in the afternoon." I know exactly how she felt (and I wasn't getting my hair done). Dr Mark recommended cupping on my back as I tend to carry tension in my "traps" from leaning over my laptop for much of the day. I had never had cupping before so he explained the procedure and said it may feel a bit alien for a minute or two. Perhaps that was an unfortunate choice of words as I had an image of the alien from the movie Alien eating through my back! Although it did feel strange at first, it definitely did not hurt, and in fact, it was really nice and relaxing. It felt like the equivalent of a 20 minute massage. But unlike massage, it doesn't compress the muscles but is the reverse and draws them up. My back felt great all week afterwards - very loose and relaxed. Cupping is not a modern fad used only by Hollywood celebrities like Jennifer Anniston and Justin Bieber. It is actually an age-old practice used by the ancient Chinese, Hindus and Egyptians. It was used by Hippocrates (c. 460-370BC), the Father of Western Medicine, and by indigenous North Americans, who used animal horns for cups. It is practised widely in Asia, Europe, South America and many, many countries today. It involves the doctor (or trained practitioner) applying oil to the bare skin then attaching a glass jar to the skin surface by using heat to create a vacuum. A suction effect increases Oxygen and blood-flow to the area which creates distinctive round marks. No, beer glasses aren't used: the jars are beautiful hand blown domes. 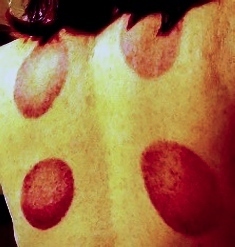 Don't be alarmed by the marks left by cupping. My marks lasted about a week but there was no discomfit. You may not want to try it immediately before a beach holiday but I didn't cover up my marks; I wore them like a fashion accessory. If Gwyneth Paltrow and Victoria Beckham are happy to show-off their cupping marks, then so am I. I am converted!